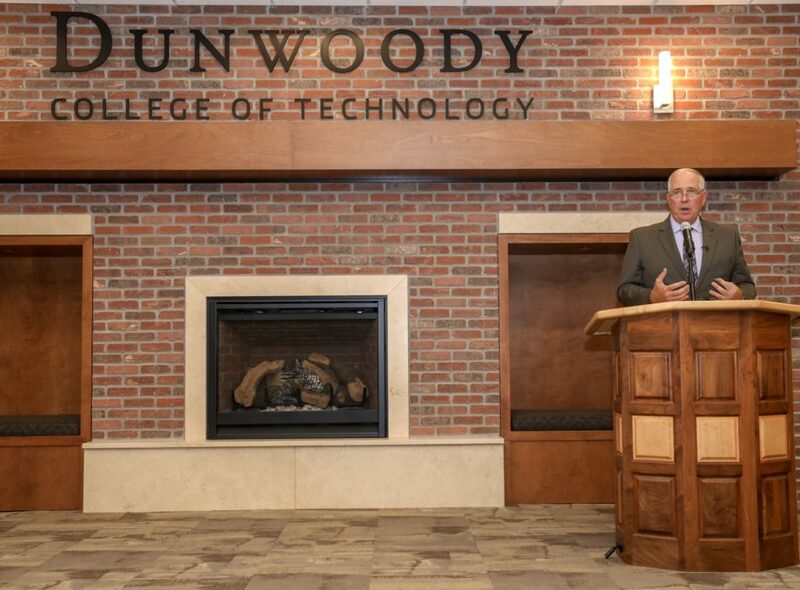 On September 28, 2018, Dunwoody celebrated a milestone: the grand opening of the College’s new Learning Commons and Welcome Center. 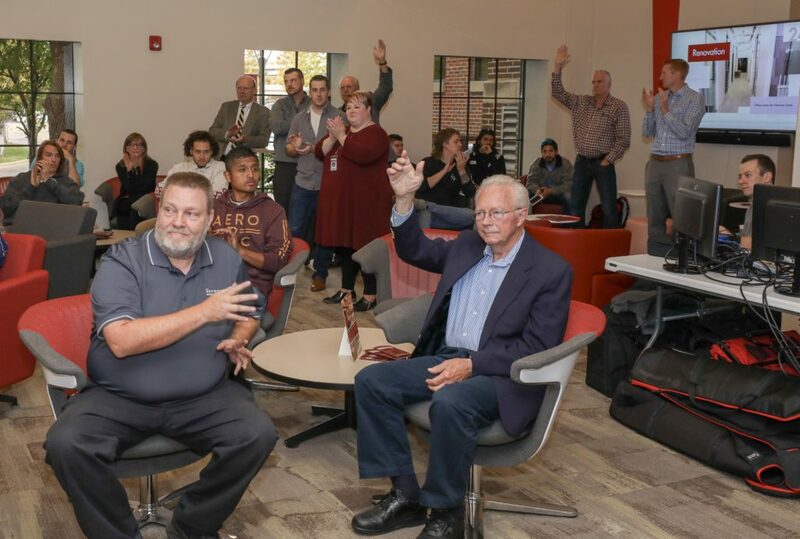 Current students, employees, members of the community, alumni, and Dunwoody supporters all attended the unveiling, where they were able to tour the renovation and learn about the reconstruction of the College’s former gymnasium. “Today’s significance is the completion of this project and the recognition of the transformation of our building. And it is symbolic of the ongoing transformation taking place at Dunwoody. This all started in 2014, when we celebrated Dunwoody’s Centennial. Since then, under the leadership of Dunwoody’s Board of Trustees, we have been implementing an aggressive strategic plan. With your support, we started the Women in Technical Careers program…we expanded the Youth Career Awareness Program…and we strengthened support for veterans attending Dunwoody. To attract more talent into our area, we expanded our recruiting reach to cover the entire state of Minnesota, Western Wisconsin, and we are now working our way to Chicago. This past spring, we graduated our first cohort of Bachelor of Architecture Students. And we weren’t done. We heard from our industry partners that there are not enough engineers…so we decided to launch a School of Engineering. This fall, through a partnership with the Stadium View apartment complex on the University of Minnesota campus, we started a residential life program. Last year, we placed 98 percent of our students in the field for which they were trained, with an average starting salary of over $45,000 per year. President Rich Wagner recognizes alumni at the Community Open House. Wagner credited much of the College’s success to the overwhelming support it has received over the last few years and announced the public launching of the Leading the Way Campaign. The College hopes to move on to the next phase of the reconstruction soon. The expansion and renovation project have been funded entirely through donations. Future projects include a new Student Center, more student support areas, additional classrooms and labs, additional space for the School of Engineering, and restoring the historic entrance to the main building.